On December 3rd, Antonio Margarito will face WBA junior middleweight titlist Miguel Cotto in what is one of the most anticipated and controversial rematches in recent years. Right now, it has nothing to do with the suspicious circumstances that may or may not have taken place during their first fight back in July 2008. Cotto-Margarito II could still take place at the famed Madison Square Garden in New York, where it was originally scheduled by Top Rank in the late summer. However, the New York State Athletic Commission ruled late last week that they would not be licensing Margarito due to medical concerns over his right eye, badly damaged last year in his November bout with Manny Pacquiao. Margarito's plight was certainly no secret to those in the industry. There was no way the NYSAC couldn't have known of the procedure Margarito went through courtesy of noted ophthalmologist Dr. Alan Crandall. Was Lathan merely there for a free lunch? There is a strong possibility that she was a leader of a house divided who, with strong pressure from the ABC, never wanted Margarito licensed in the first place. With that the NYSAC really was looking forward to a great night of boxing on December 3rd at the newly renovated Garden. But with one catch- the pugilistic pariah that is Margarito, who many believed used loaded gloves in his first encounter with Cotto (and his other contests), would not be licensed when it was all said and done. When push came to shove as the calendar turned to November, with Top Rank well on its way to a sell-out, surely the promotional giant would replace Margarito with perhaps Vanes Martirosyan, the way Joe Girardi calls the bullpen to get Mariano Rivera on the hill. Does my Oliver Stone scenario sound farfetched? Yeah, but the more I think about it, the more sense it makes. Just think about it; if Margarito is being denied a license due to medical concerns, that's perfectly legitimate. If having the kind of surgery he underwent disqualifies you to box in the Big Apple, shouldn't that have been made explicitly clear back in August when Top Rank officials planned this card? Why go through the charade of understanding Margarito's situation, have their doctors consult with Dr. Crandall, secure Margarito an extra series of tests and evaluations in late October (when he broke camp from Mexico and headed to Utah)? Why was a supposedly black-and-white issue even given the pretense of a gray area? I'm told that the NYSAC's medical advisory board expressed its concerns to Top Rank and Margarito's management on October 7th. And if all this was an issue to begin with, why was “Free Lunch” Lathan in attendance at the original media gathering? Why wait till now to pull the plug? Because it says here that the NYSAC wanted to put this off as long as possible in order to put Top Rank into a position where they had no choice but to go on with the show, ultimately Cotto vs. TBA. So while thousands of fans were making plans, purchasing tickets, booking hotels and flights, the NYSAC may have been planning to leverage Top Rank into a “bait-and-switch” on the public the entire time. But there was only one slight-yet fatal- flaw with this plan. While the live gate is an important facet of any promotion, with fights like Cotto-Margarito II, it actually pales in comparison to the pay-per-view possibilities. Yeah, the Garden might seat around 20,000 patrons (and, from what I'm told, is scaled for a gate of $3.4 million) but if this card does 300,000 pay-per-view buys, that means right around $7.5 million for the promotion. And while the “Kangaroo Court of Gotham City” believed it may have pushed Top Rank to the point of no return, they were really at the point of no return regarding Cotto-Margarito. See, the real money in this instance is with the pay-per-view. This was not just an ESPN card where the main event participants are interchangeable. With the expenses for marketing, promoting and advertising already paid, you couldn't have suddenly thrown in a Martirosyan or anyone else on the opposite side of the ledger from Cotto. And with this fight’s much-talked about first episode of HBO’s “24/7” debuting this weekend, it was another step toward the inevitability of this bout. Right now, this is a high-stakes game of chicken in which neither side is budging. Yeah, there were many other companies that would have stayed in this corner they were painted into. Top Rank certainly is not one of them. As they started to see where this was going last week, they immediately started making contingency plans as various states (all too willing to license Margarito) and venues were contacted throughout the country. Remember, this is about the pay-per-universe which doesn't care whether this fight takes place at the Garden, Pluto or on a hidden barge like the fights of years past. Let's make this clear; not just this fight but this whole damn card fit like a glove at the Garden. Part of the narrative of this promotion is how Cotto will now have the long-awaited chance to gain revenge on Margarito in front of his Puerto Rican partisans. If anyone has earned the home-canvas advantage, it's this brooding, introspective man from Caguas. Then you had the neighborhood grudge rematch between Delvin Rodriguez and Pawel Wolak. Wherever this card takes place, it's a good card- but it absolutely belonged here. It was the perfect setting. There is something electric about the atmosphere of a big card at MSG. You have to experience it for yourself to really know what I'm talking about and it's exactly why many of you out there sank your hard-earned money into traveling in to see this event. It was by far the biggest non-Pacquiao/non-Mayweather event this sport was going to have in the States in 2011. See, when it's all said and done, Margarito is certainly not the sympathetic figure or the victim here. The consensus is that Margarito shouldn't even have the right to make a living in this sport anymore. Others think the condition of his eye should prevent him from having a license (But let's be honest with ourselves. We can all act like concerned citizens but if guys like Margarito themselves are willing to risk their own health and safety in the ring, we barbarians are more than willing to bear witness to this savagery that entertains us). So if the NYSAC believed any of that, why weren't they upfront with Top Rank when they were first approached about hosting this card? Neither side is completely blameless here; that's for sure but I know who's being put in the middle- again. Those who are being victimized here are all the multitudes of fans who, as of right now, don't really know if they are going to New York to see a highly anticipated prizefight or just coming in for the weekend to do some sightseeing. Yeah, seeing the Statue of Liberty isn't the worst thing in the world but it's quite the buzzkill if it doesn't come with the opportunity to see Margarito go into the lion’s den and get his comeuppance. The NYSAC's own (in)action caused many of these fans to make this commitment, one some of them probably can't really afford. But the allure that is this twisted addiction has them making, yet again, another foray into this spectacle. And yeah, the commission’s job is to enforce its own health and safety standards. That's perfectly understood but it’s also the NYSAC’s job to protect the consumers. This is no longer just a boxing issue but now a political football and a business issue. The commission has done its best to alleviate any liability it may have by insisting that a neutral, third-party medical commission clear Margarito but don't think for one nanosecond that Madison Square Garden (which is already hurting from the NBA lockout) didn't make itself heard in this whole snafu. This decision has a serious ripple effect going all the way down to the workers at that building who, in lieu of missing Knicks games, were hoping to earn a few bucks on this night. New York was once the Mecca of the boxing world. Now we're going to see if it's now relegated to hosting “Ballroom Boxing” every few months. As I type this out, Brad Jacobs of Top Rank is on his way to Denver, where he will soon meet with representatives of the Pepsi Center, and then to Phoenix, where he'll huddle with U.S. Airways Arena officials. Meanwhile, other Top Rank staffers will be in New York with Margarito as he hopes to gain clearance to fight in that jurisdiction. Regardless, this fight will go on December 3rd. Somewhere, somehow, someway- with or without the NYSAC and the Garden. Here are the views of someone who is intimately tied with the boxing scene in New York and has great knowledge of the inner workings of the NYSAC. He didn't want to be identified for obvious reasons. On this whole process, he says, “It's clearly political. You have to remember, the members of the commission are political appointees now. Not Melvina because she was inherited by this government but the other guys [deputies Thomas Santino and Edwin Torres] were appointed, politically appointed. Here's the other thing too: if this was going to get resolved earlier, they were going to tell Margarito to take a hike. I think from Melvina, there must've been a thought that he would be OK'd and I think part of the reason why if there was a delay by Melvina, it was because she wanted to see the fight happen- not that she didn't want to see the fight happen. I think she wanted to see it happen. She probably made a mistake in getting it delayed but frankly, Arum was aware of this guy’s problem and this couldn't have been any different if it were Nevada or California or New Jersey. In any of those states. 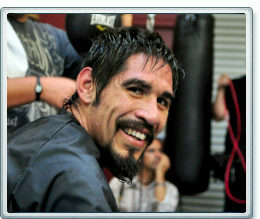 So in this person’s view, does Margarito get cleared to fight in New York? I am a big fan of boxing and New York has a chance to have a huge event on December 3rd between Miguel Cotto and Antonio Margarito. This will bring in many fans from outside of the New York area to visit and spend money in your local economy. In this type of economy you should be very glad to have this type of sporting event, especially when the Knicks are not playing due to the NBA lockout. The college basketball games Madison Square Garden have been hosting are ending as well. As you should be aware your Chairwoman Melvina Lathan attended the kickoff press conference for this boxing event. If there was any issue the commison should not have been present and made it known that this fight was not approved for the fans who might buy tickets. If the promoters were falsely promoting something that wasn't approved and selling tickets you should of at least told the Attorney General of New York to protect consumers. It was never indicated that there would be an issue for this fight. With only weeks to go until the fight, it now seems your commission will pull this event due to concern with Margarito's eye. While the commission should always look at fighter safety, it has been reported that the top eye specialist in the country has testified that Margarito's eye is okay to fight and I believe your commission should follow those recomendations.Waiting to make a decision to pull this fight now after fans have spent money on tickets, hotels and airfaire is truely a poor decision if you do in fact make that choice. New York has been avoided by top fighters like Manny Pacquiao due to the high taxes in your state, and if you pull this fight you can guarnatee you will lose more in the very near future. Victor Ortiz fought a great fight with Andre Berto this year on the East Coast and a potential rematch could happen in January. I for one hope that the promoters of that fight do it anywhere on the East Coast except New York if you pull this fights approval on Decmber 3rd. Why should promoters with big fights coming up take a chance with New York? Your commision will have lost the trust with promoters and fans as they will not want to risk the money only to possibly be undercut later on. I won't buy tickets to a fight there if you do this and I'm glad right now I didn't fly out to see my Kansas Jayhawks play basketball. I'm glad I didn't put money into your economy if this is how your government commissions work. This would be a huge hit for boxing at a time when it's trying to gain some new fans. This would be a great night for Boxing in Madison Square Garden. An event that should make more promoters with big fights look at New York as a place to put on big shows. More than anything though, this will be another government commision making a poor, and very late decision, that will cost many fans lots of money. Good luck making tax revenue off the Knicks and good luck getting any promoters or fans to take risk with future boxing events. Your boxing commision must not care very much about boxing or combat sports for you to do this. You don't allow the UFC and you don't care to much about boxing either. So why don't you just elminate your boxing commission and save the taxpayers money if this is how it operates? More of Steve's recent work is linked below.